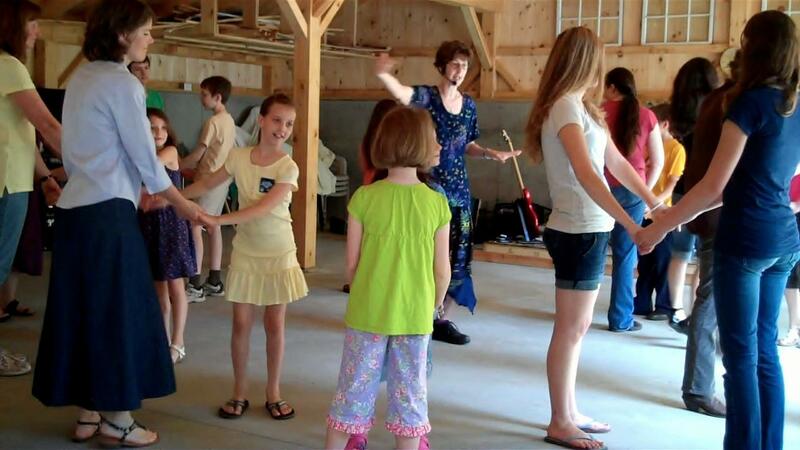 Whether you are looking for American folk dances (e.g., square dances, “Playparty” or “Singing Games,” contra-style dances), historical dances such as dances from the Revolutionary War era, or a mixture of traditional dances (contra, square, International folk dance), you can find it here. Our ability to customize our programs means they can be tailored specifically for you. If you are not part of a group (library, school, church, scouts, homeschoolers, senior center, other community organization), get a group of friends or families together and HAVE A DANCE! Examples of programs we have provided in this way include all kinds of family and community gatherings – 50th birthday and anniversary parties, 80th birthday parties, neighborhood block party, children’s and family events, Colonial-themed wedding receptions. We particularly enjoy providing the community dances, “barn” dances, and inter-generational dances. No other reason to dance? Have an old-time “Kitchen Junket” – dancing in the kitchen (usually the largest room in the house) was a New England-style dance party starting in the 1900’s, often accompanied by singing in the parlor. We also offer a variety of music programs. Your imagination is the only limit on what kinds of traditional dance & music programs we can provide. In CT, you can find me in the programming catalog of the CT Library Consortium. If you are in New England, but outside Connecticut, you can find me on Creative Ground, the online “New England’s Creative Economy Directory,” a project of the New England Foundation for the Arts (NEFA), through which you may apply for grants from NEST (New England States Touring) funds. I am also listed in the CCT Directory of Performing Artists of the CT Commission on Culture & Tourism, which has undergone changes since it was incorporated into the Department of Economic and Community Development. Check these sites to see programs and to apply for grant money with which to bring our music & dance programs (historical or contemporary) to your group or venue!